When you go to a business meeting, do you bring a paper notebook and pencil so you can take notes or write on handouts from the meeting? Do you retype the notes later? Are you a freelance editor who gets PDFs or Word docs that you have to print out, make handwritten editing changes, then scan? Sometimes typing on a computer isn’t enough for a freelance writer. Or maybe you want to write notes on photos, slides, or other media. Sometimes typing on a computer isn’t enough. And scanning is a pain. That’s where pen tablets come in. In this post I show you how I’ve maximized my writing and editing simply from using a pen tablet. I’ve been a freelance writer, editor, and proofreader since well before the digital age. I’d wield my ballpoint pen like a sword. I learned all the proofreading symbols, enjoying their retro appeal. Then along came Microsoft Word and track changes. Now it’s me sitting at a computer being editor and typesetter at once. No more proofreading symbols. But I still get clients who prefer handwritten marks. If I did things the way many editors still do, I’d have to mark, scan, and email the grainy scan back to them. This is time-consuming, ends up with an unattractive result, and is difficult to make changes in. Instead, I use a pen tablet with a pressure-sensitive pen. These devices and their accompanying pens are superior for note-taking and drawing. They get rid of the need to scan, and offer accurate handwriting and super flexibility – I can change my written edits at any time. I can sit in meetings and take notes, then convert the notes to text with the click of a button. I can write sticky notes or draw on a whiteboard. I can mark up designs. I can easily share with coworkers. Many people use an iPad type of stylus on their tablet, phone, or touchscreen computer. But those are far from ideal. Handwriting with those styluses is a clumsy experience. It’s nothing like writing on paper. Pen tablets take different forms – there’s something for everyone. 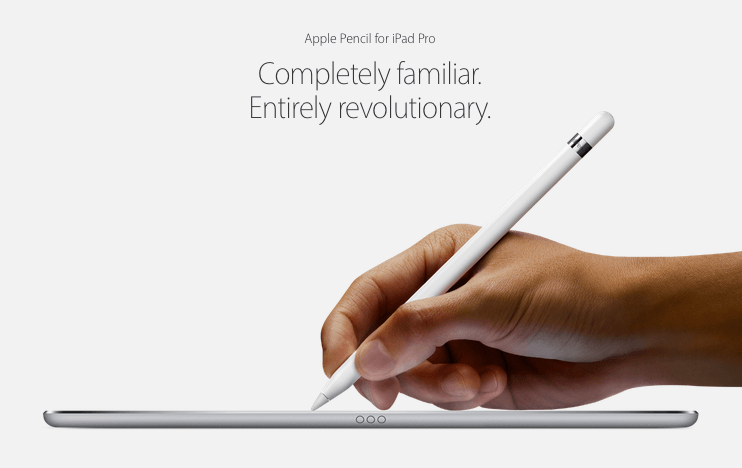 They can be portable tablets such as the iPad Pro with Apple Pencil. They can even be full laptops with nondetachable keyboards, such as the HP Spectre x360, delivering a solid typing experience. They can be a Windows PC that with a detachable keyboard, doing double duty as laptop and tablet, such as the Surface Pro. They can be smartphones. The term “tablet” in this sense doesn’t always mean a small mobile device. Pressure sensitivity means that when you press down harder your line gets thicker, and when you press lightly, it gets thinner. The devices have a layer called a digitizer under the screen. It communicates with the pen, allowing you to write just about as accurately as you would using pen and paper. Some also allow you to write with your finger. These screens can tell the difference between your hand and the pen, so resting your hand on the screen while writing won’t make a mark. They are popular with artists, who use programs such as Photoshop to draw in, and value the accuracy of the pens. Handwriting has its own set of apps. In Microsoft’s OneNote, which is intuitive and takes no special training at all, you can use the Draw menu to take notes, sketch, or draw with pen or finger. You can also convert handwriting to typewritten text. There’s also the Write-It app. It expands your capabilities. It’s similar to One Note, allowing you to mark up documents and Web pages. Write-it even lets you mark up emails. It pretty much replaces all your typing with handwriting. There are plenty of note-taking apps for portable tablets. The iPad Pro with Apple Pencil gives a particularly pencil-like experience, even allowing you to use the side of the pencil to shade. Notes comes installed on the tablet. Though I still carry around a small paper notebook, I don’t think I could go back to the old way to deliver my editing jobs. This way is much faster. When I have to fill out forms, I simply do it in handwriting rather than printing them out. When someone needs my signature, I give them a real (digital) one, not a rubber stamp kind of thing. It’s a snap to update forms with parts where I need to change the date. I do my designing and drawing this way, too. It’s just one device now to get the document, download it, mark it, and send it back. Not only that, I can Microsoft Word with track changes as well. Digital writing brings back the handwritten, unique touch. I even get to use good, old-fashioned proofreading symbols. Over to you – have you ever digitized up to a pen tablet for your freelance work? 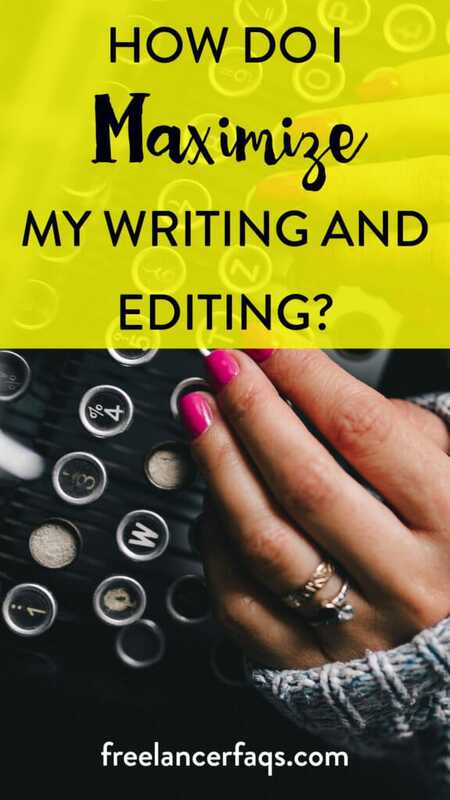 How Can a Freelance Writer Self-Edit Their Own Work? Are There Any Good Writing and Editing Apps for Freelance Writers?